We invite you to come dine with us for breakfast or lunch and indulge in our delicious menu! We have something for everybody! Our omelettes are prepared with the freshest ingredients. Our and omelettes, waffles are homemade from a family recipe generations old! Our sandwiches are all made from scratch and will not disappoint. Still hungry??? We have over 30 mouth-watering side items for you to choose from as well! 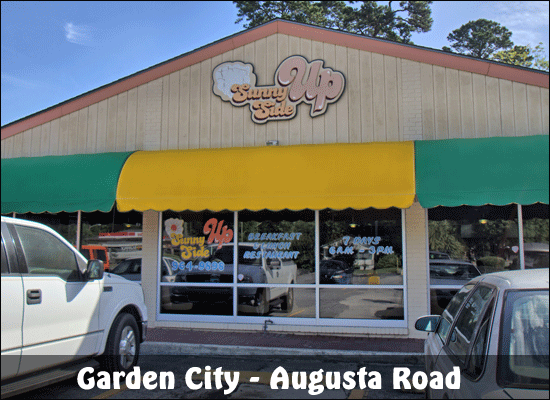 We are located just off of Augusta Road in Garden City! Come see us or visit us on Facebook!